WILMINGTON– Wilmington City Council President Hanifa Shabazz and Councilwoman Yolanda McCoy are encouraging families to take advantage Waterford UPSTART, a FREE in-home program designed to prepare preschool-age child for kindergarten, using fun approached to reading, math and science. Space is extremely limited – only 100 spots available this year – so families are encouraged to visit Waterford UPSTART web site at https://www.waterfordupstart.org to preregister before the August 17 deadline. 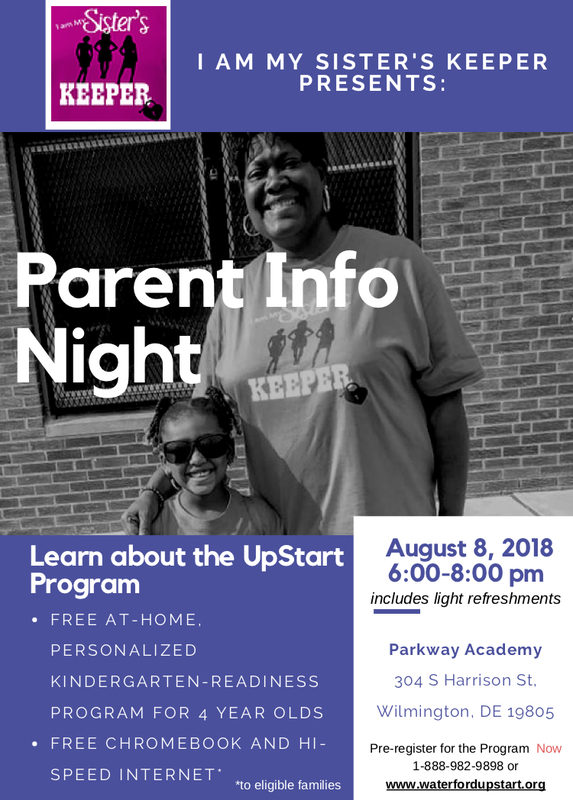 A parent information session on UPSTART, hosted by I am My Sister’s Keeper, Inc., is scheduled for August 8 from 6-8 pm at Parkway Academy. Parkway Academy is located at 304 S Harrison St, Wilmington, DE 19805. UPSTART is technology-delivered as qualifying families in need of a computer and internet are provided with these to use during the program. Families sign up for UPSTART by pre-registering online or by phone. Registration is finalized after a call from an UPSTART representative. All participants receive training and commit to using the program for 15 minutes a day, 5 days a week the year before their child enters kindergarten. Children start using the program at home immediately after training. UPSTART is designed for very young children. It uses large buttons, obvious directions, and support that helps children progress. Each child moves through a personalized learning path that is designed to meet his or her skills and needs. The software assesses the child’s progress at key milestones to determine what type of instruction each child will receive. Every family is partnered with a Personal Care Representative who monitors their child’s progress throughout the year. Families have access to live help by phone or email 6 days per week. Families will receive a weekly email with program info, off-line learning activity suggestions, and a usage report. Families will be contacted if their child’s usage falls below guidelines. The UPSTART program ends with a graduation that celebrates the children’s achievements. Graduation events take place during the summer just before the end of the program. In addition to the party, children take a final assessment to measure their learning gains. Pre-register for the Program today by calling 1-888-982-9898 or visiting www.waterfordupstart.org.